808 E. Co. Rd. 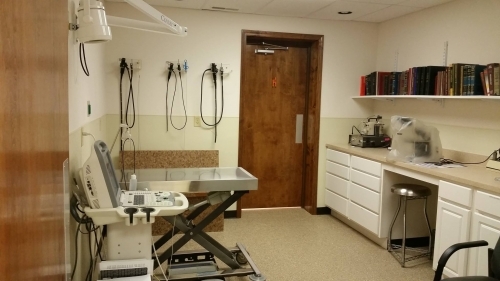 250 S.
Our Diagnostics Room is used mostly if your pet needs an Ultrasound. can also use this room as a Routine Exam Room. and compassion to our clients."